The big news on an otherwise sleepy Sunday, is that the U.S. is suspending its plan to add tariffs on Chinese imports into the country. This was announced by U.S. Treasury Secretary Steve Mnuchin, who said today that both sides are making progress after two days of negotiations in Washington last week. The Chinese apparently have agreed to purchase more U.S. goods while also making it easier for stateside firms to sell their products in China. "We're putting the trade war on hold," Mnuchin said. This comes exactly one week after President Trump disseminated a tweet stating that he wanted the U.S. Commerce Department to repeal the seven-year export ban it placed on ZTE. The ban has forced the Chinese phone and network equipment firm to shut its doors. "Too many jobs in China lost," the president wrote in his tweet. The message confused many, who remembered then candidate Trump complaining numerous times during the campaign that the Chinese were stealing U.S. jobs. Last week, the House Appropriations Committee unanimously voted to keep the ban in effect regardless of the president's tweet. The action prevents ZTE from obtaining components, hardware and software from U.S. companies until March 2025. 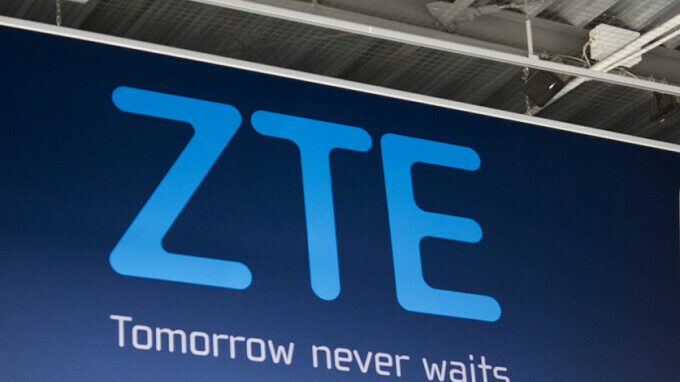 The ban was put into place after ZTE failed to comply with certain actions ordered by the Commerce Department after ZTE sold goods and service to Iran. Those sales violated U.S. sanctions against the country. Mnuchin said today that the U.S. will not soften its stance on ZTE as part of the negotiations with China. The Treasury Secretary said that there is no quid pro quo, and that Chinese President Xi Jinping had merely asked Mr. Trump to lighten up on the company. Mnuchin said that the U.S. president wanted to be "very tough" on ZTE. Meanwhile, former economist and CNBC commentator Lawrence Kudlow, who is now Trump's chief economic advisor, said that if any changes are made to the current ban on ZTE, they would still be harsh. Kudlow mentioned the possibility of big fines, new management, a new board and stricter compliance measures. But at the end of the day, Kudlow promised that the U.S. will not let ZTE "get off scot-free." I can't recall where I read a report which stated big companies such as Qualcomm and others could survive without ZTE. The problem is the small business which depend on ZTE, which could loose almost 30% of their revenue. Well this is sad but chinese people deserve this but not such a harsh ban,they have a habit of claiming they are the original owner of someone else intellectual property by stealing other people property.Zte should have just listen,follow the order before letting their ego karma them.